Death, taxes, and President Hillary Clinton. As people have wondered before, are they really the three new certainties of life in America? According to a just-released Washington Post-ABC News poll, 55 percents of respondents said they would support Clinton as a candidate for president in 2016. The poll, conducted between May 21 and May 25, was a random national sample of 1,017 adults. In other polls, Clinton is the overwhelming pick of Democrats and, even if her favorability is not as high as it once was, she beats assorted Republicans, including Jeb Bush, in theoretical match-ups. If only polls elected presidents. On July 9, 2007, Mark Penn, then Clinton’s chief strategist, wrote his now infamous “inevitability” memo, which declared mostly on the basis of poll numbers, Hillary Clinton “is better positioned today than ever before to become the next president of the United States.” Oops. Positioning does not a president make. Voters decide that on election day. The trouble with inevitability is that there’s only one way to go: down. Indeed, as Governor Deval Patrick pointed out on national TV, “inevitability” — or “certainty” — can be a turnoff to voters. Patrick well understands the threat and value of insurgency. To become governor of Massachusetts back in 2006, he beat a rival regarded as inevitable by most Democratic insiders — just the way Barack Obama beat an “inevitable” Clinton back in 2008. 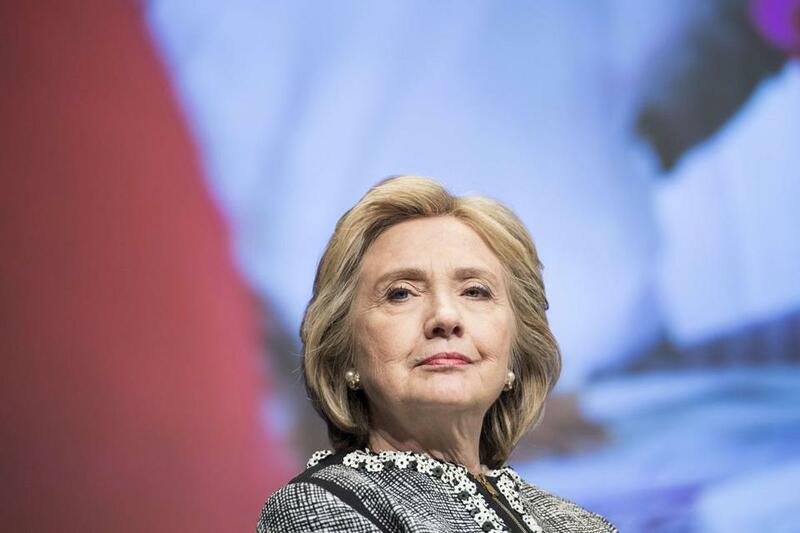 Clinton hasn’t said if she will run for president in 2016, but if she does, she starts off as the presumed favorite. Still, there are well-documented dangers out there. One is the “old and stale” label put out there by Republican consultant Karl Rove, who at 63 is in the same generational boat as Hillary Clinton, 66. Throughout their careers, women must fight the notion that they are either too young or too old to handle a top position. But, while sexism can play a role in the “old and stale” analysis Rove applies to Clinton, the issue is more complicated than that. As Rove points out, she’s politically linked to the last century, when her husband served two terms as president. Her own resume as senator, presidential contender, and secretary of state grants her gravitas, but not exemption from scrutiny of the past, including the 2012 attack on the US diplomatic compound in Benghazi, which led to the deaths of four Americans. Rove also raised the health issue for Clinton with a lack of subtlety that did him no favors, according to that Washington Post-ABC News poll. In remarks first reported by The New York Post, Rove was quoted as saying, “thirty days in the hospital? And when she reappears, she’s wearing glasses that are only for people who have traumatic brain injury? We need to know what’s up with that.” He later disputed the Post headline, which suggested he mused that Clinton, who actually spent only four days in the hospital, suffered brain damage. More than 60 percent of those surveyed said they disapproved of Rove’s effort to raise questions about Clinton’s age and health; Republicans were divided, with 45 percent approving and 46 percent disapproving. Yet, whatever a poll says now is essentially meaningless once Clinton becomes an official presidential candidate. Her medical history will be part of the national discussion, as it is for all presidential candidates. The political press is already excited about Clinton’s new memoir about her time as secretary of state. According to The New York Times, the initial printing of one million copies of “Hard Choices” has already sold out. That’s good news for Clinton the author. But by definition, a memoir is about the past. An election is always about the future. Clinton still needs a message for it. For those betting on certainties, best to stick with Benjamin Franklin’s original assessment: death and taxes.